Dracula: Year Zero has been around for years. I mean, years. I’ve been writing about it here at Shock since 2008. And, much like another Dracula-themed project that never dies – The Last Voyage of the Demeter – this one has seen talent come and go. But it appears Dracula: Year Zero is finally moving forward. The Hollywood Reporter says Universal “quietly” gave the green light to producer Michael De Luca and he has locked a director and star. 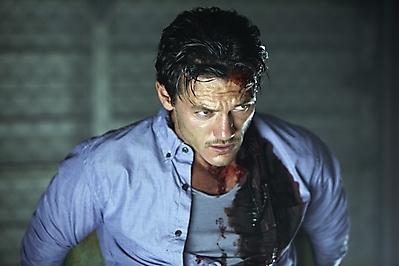 According to the site, Luke Evans is going to play Dracula for director Gary Shore (Alex Proyas was previously attached to helm). This tale finds Dracula making a dark pact to save his wife and child. He becomes a vampire and ultimately uses his powers of darkness to fight his enemies. Evans will be seen in next month’s No One Lives. Update: THR adds the film is simply being called Dracula now….